Kilauea Volcano on the Big Island of Hawaii. Viewing active volcanoes in Hawaii is a major tourist activity in Hawaii. 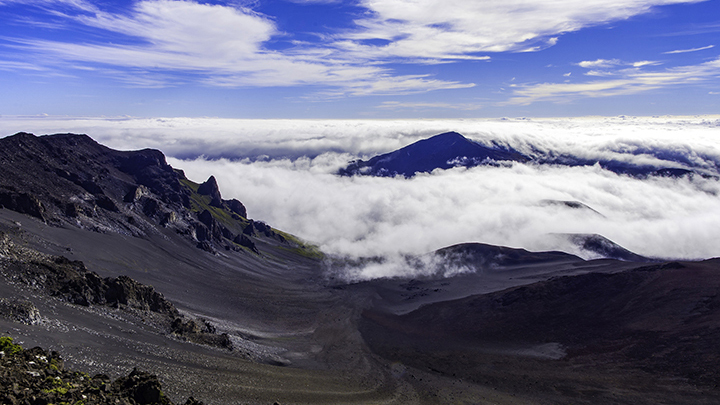 As the Hawaiian Islands are all comprised of volcanoes, these mountains are a key element of Hawaii’s culture. Tales of volcanoes appear in Hawaiian myths, hula, folklore and songs. There are three kinds of volcanoes. The composite volcano has a large symmetrical cone shape with steep sides. Cinder cones come with gas-charged lava exploding powerfully in the air. Then its lava crumbles into cinders landing in a circular shape around the vent. Shield volcanoes have thicker, slowly progressing lava flows. They ooze in many directions from a vent on a flat dome with gentle slopes. 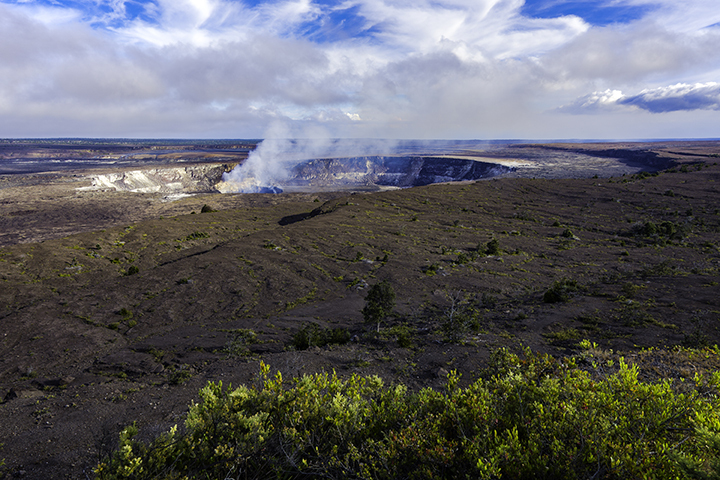 The state’s most active volcanoes, like Mauna Loa and Kilauea, are shield volcanoes on Hawaii’s Big Island. Pele is the Hawaiian goddess of fire and volcanoes. Certain lava formations are supposedly parts of the goddess. Examples include “Pele’s hair” which is volcanic lava with a stringy appearance. According to legend, Pele is the creator of mountains and the destroyer of lands. After some jealous disputes, Pele’s sister, Namakaokahai, became a goddess of the sea, while she became goddess of the volcanoes. Pele and Namakaokahai still face each other when lava flows and the ocean meet on the Big Island’s shores. Hawaii is home to many volcanoes. 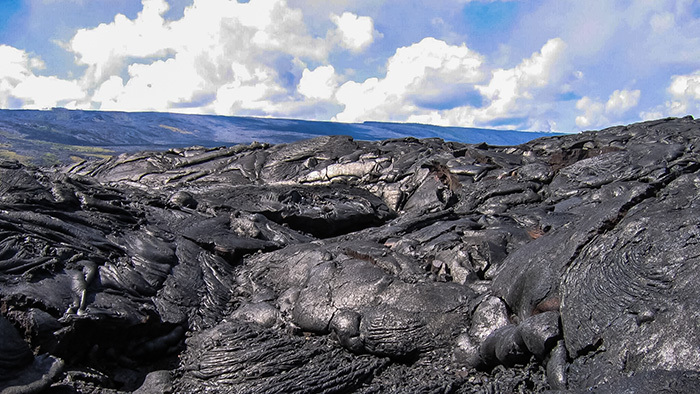 The following are the most well-known volcanoes in Hawaii. This is the world’s most active volcano with the longest continuous eruptions on record. Kilauea has been erupting steadily since 1983, changing the actual shape of the Big Island. This happens when magma flows into the ocean water and hardens against the landmass. In 1987, the eruption covered much of the grounds at the Royal Gardens. In 1990, lava flows burned 200 houses and the towns of Kaimu and Kalapana. 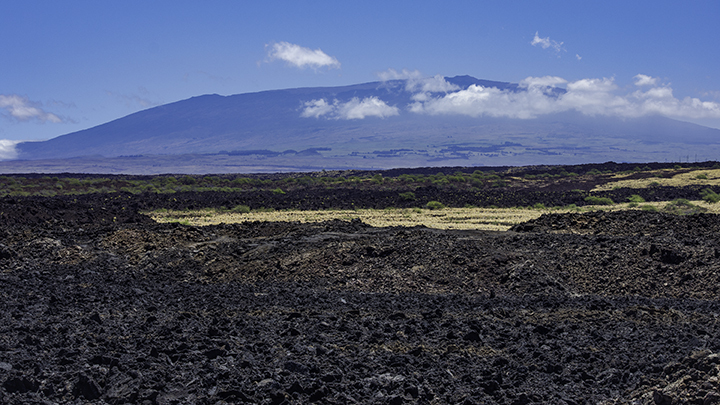 Mauna Loa covers half of the Big Island. It’s 60 miles long and 30 miles wide and last erupted in 1984. This is also one of the most famous shield volcanoes in the world. It has been periodically erupting for thousands of years. In 1868, Mauna Loa’s eruptions created a level 8.0 earthquake. View of Mauna Kea on the Big Island of Hawaii. Mauna Kea, meaning “white mountain,” erupted over 4,500 years ago. Snow can often cover it during the winter. It is a unique volcano because it has glacial deposit from the Ice Age. Also, it’s the tallest mountain in the world if one measures it from its base on the sea floor. It rises approximately 13,800 feet above sea level. The last time this volcano erupted was in 1790. But it has a history of ten eruptions in the last 10,000 years. While scientists can only predict and speculate, some believe Haleakala could be due for another eruption. For visitors wanting to experience volcanoes in Hawaii, Blue Hawaiian Helicopter Tours are the best way to see them safely. You have not seen the extent of Hawaii’s beauty until you’ve witnessed the fiery underbelly of its volcanoes. At Panda ® Online, we can help you plan the adventure of a lifetime, flying over active Hawaiian volcanoes and lava flows.